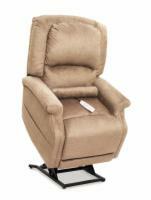 Raleigh, NC - May 5, 2010 - All Lift Chairs, an online retailer of electric lift recliners and other medical and mobility products, has announced the addition of two new lift chairs to its product line. The Pride LL-770S and Pride LL-770L are infinite-position lift chairs which allow users to recline to a number of positions, including the Trendelenburg position, in which the feet are elevated above the heart. The LL-770 series lift recliner is available in two seat widths - with the S and L models respectively signifying small and large - to accommodate users of varying sizes. The LL-770S sports a 19-inch wide seat and 24-inch tall seat back; the LL-770L has a seat width of 22 inches and backrest height of 28 inches. 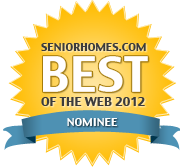 All Lift Chairs recommends the S model for users of 5'0 to 5'4 in height, and the L model for users 5'5 to 6'0 in height. Both models feature a sewn pillow back and chaise pad. The infinite-position capabilities of these liftchairs allow a user to sit or lay comfortably, as well as achieve a full Trendelenburg position to aid circulation and relieve lower back pressure. This position is sometimes recommended by doctors as a preventative measure against hypotension, or low blood pressure. "We're pleased to be able to offer these new lift chairs to our customers", said Tim Ziehwein, VP of Sales for All Lift Chairs. "The LL-770 is a great lift chair that's comfortable, versatile, and easy to use. Being able to offer it in multiple sizes means satisfying the needs of more of our customers, so obviously we're excited to be carrying them." In addition to Pride lift chairs, All Lift Chairs offers a large selection of mobility and accessibility products, such as medical chairs, bath and toilet lifts, bidets, and walk-in bathtubs. Be sure to visit http://www.all-lift-chairs.com/Pride-Lift-Chairs.htm for detailed specifications on the Pride LL-770 series of lift chairs, or to see their entire selection of Pride lift recliners. For more information on any topic covered in our press releases, you may reach us via email at media@all-lift-chairs.com.